Friganor AS is a leading supplier of air conditioning and heat pumps for private homes, commercial buildings, industry, marine, offshore and technical cooling and represents many of the best manufacturers in the market. 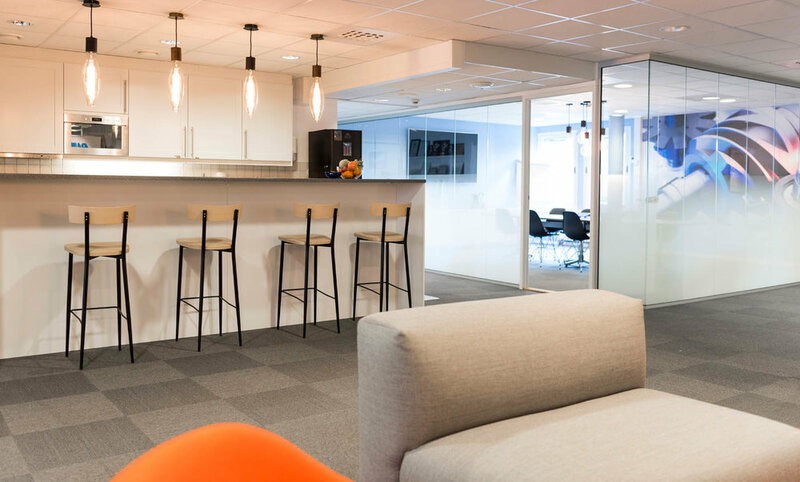 When Friganor moved into new commercial premises in the Bryn district of Oslo in 2017, they wanted to profile their organisation by creating a pleasant and practical office environment for both employees and customers. Friganor are proud of their long history, their suppliers and the products they sell, so it was important to signal this in the design of the office interior. A lounge area is a central part of the office landscape and is surrounded by demo products that spark curiosity and conversations. 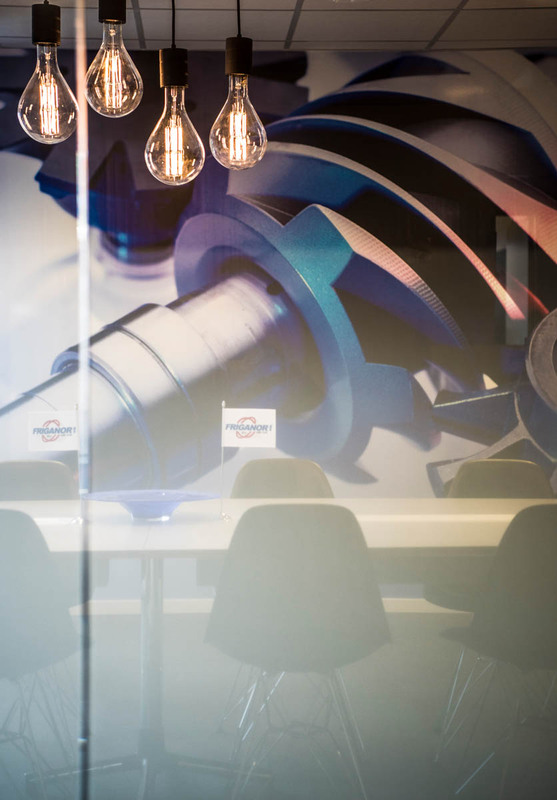 Training rooms, meeting rooms and individual work spaces have glass walls which were decorated with a foil that illustrates rising steam. Air and water were the main visual motifs. The story shown in a timeline is a decorative element in blue tones with a tinge of fresh orange. Indirect lighting does not create mood, so we added some decorative lamps in glass with incandescent bulbs, providing more warmth in social areas..